#12-1446 Vine Road - Price Reduced! This 4 bedroom and den home has all the living and storage space you could possibly want. This is one of only six units of this type and is a very rare opportunity in one of Pemberton’s most desired complexes with quick access to the local trail system. 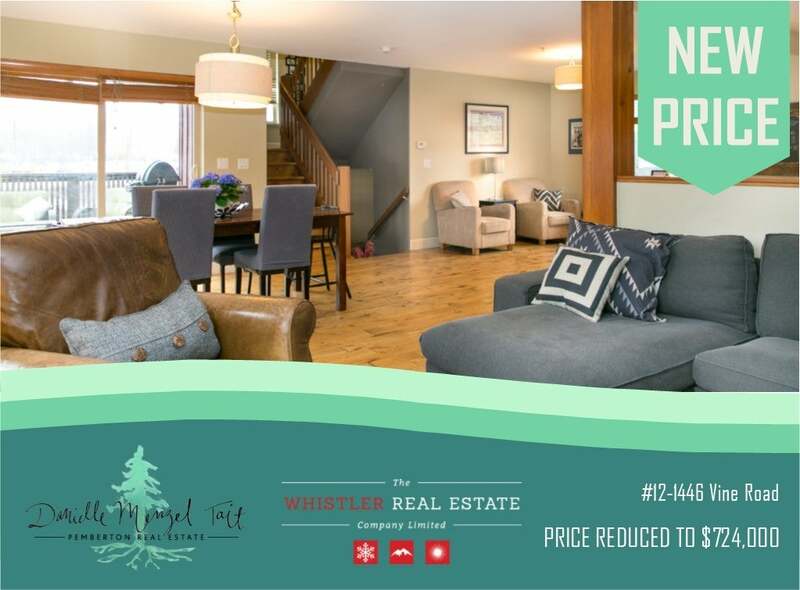 Enjoy the many upgrades, 2 car garage, geothermal heating and cooling, hot-water on demand, in floor heat in the bathrooms and entry, enhanced fireplace rockwork and Alder flooring throughout.